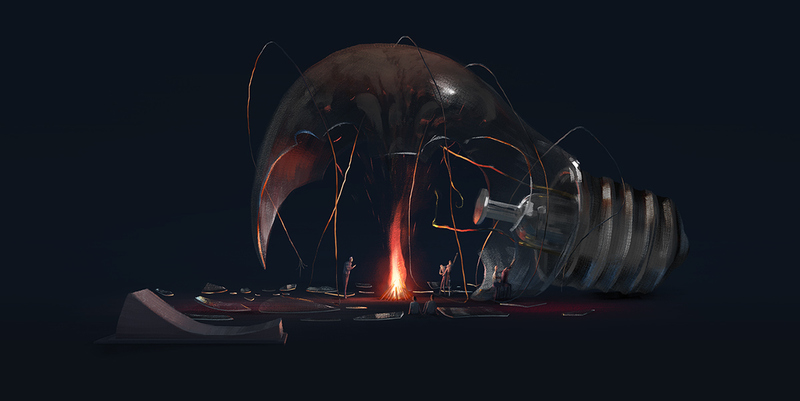 'Rekindling' started as a personal illustration and turned into an exploration in animation. I wanted to capture the idea of trying, successfully or not, to relive a moment (the fire in place of the light). Animated in Photoshop and AE.